We all have that family member who is in a little better shape than ourselves, and maybe they were even a little more popular in school. 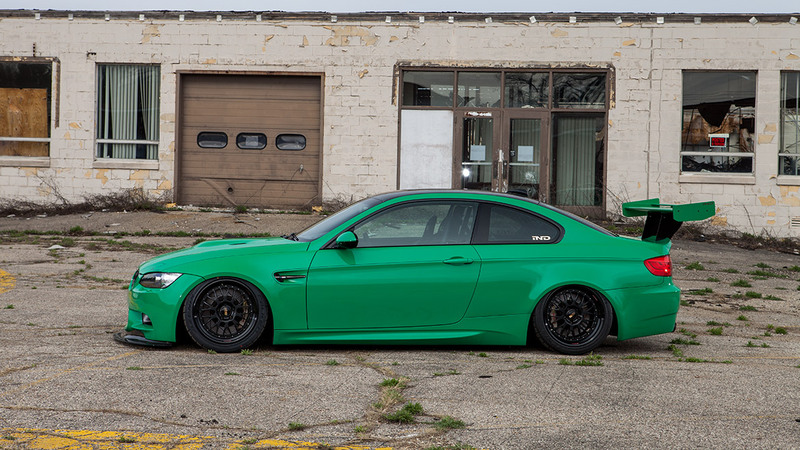 In the world of BMW’s, the M3 is definitely that athletic family member! 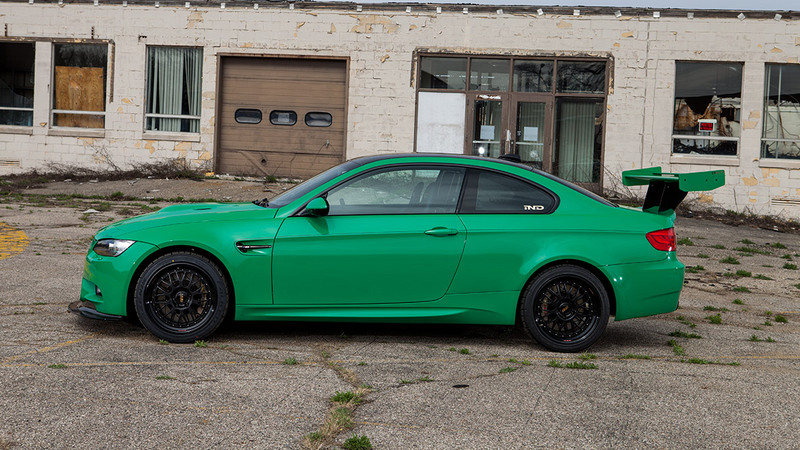 From muscular body styling to a more powerful engine, the M3 is the star quarterback and prom queen all rolled into one. As dreamy as this all sounds, we feel there is room for improvement when it comes to the altitude that comes with the M3 from the factory. In fact, we took the star quarterback to college and graduated at the top of the class in astrophysics! 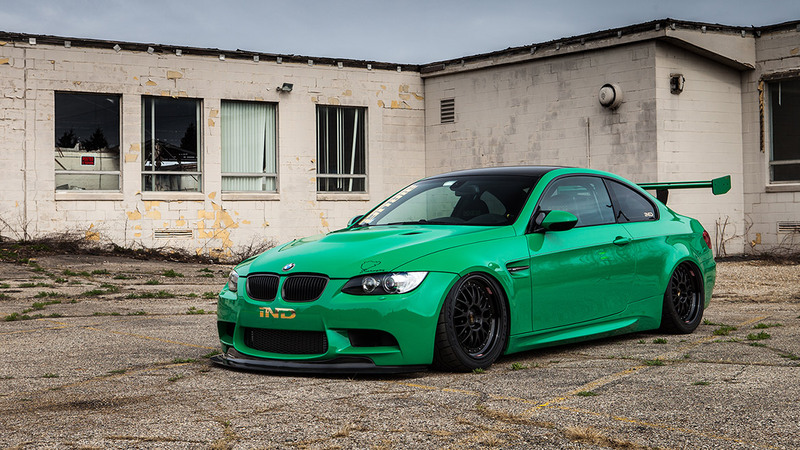 Okay, enough corny analogies…the bottom line is that we have made an amazing suspension for the M3 that gives you that lowered stance you want–without the compromises of other lowering suspension methods. Gone are the days of poor ride quality and scraping against everything. The ALP engineers have designed a race-ready suspension that can adjust height at the push of a button and provide you with the ride quality that one would expect from a BMW. To reduce the front wheel gap by 4.84”, we choose a smooth-riding, adjustable, double-bellows air spring mounted to a monotube threaded body strut. Not only can you adjust the height of the vehicle with the strut, but you also have 30 different levels of damping adjustment to really tune your ride quality and performance–depending on if you are on the road or headed to the track. We have replaced the OEM coil spring with one of our double-bellows air springs, and added a monotube, 30-level-adjustable, threaded body shock to handle the damping duties. Total overall drop is 5.8″ from stock, giving you the drop that is sure to get you noticed on the street as well as the show field. All this is to ensure you have the best overall driving experience from your Bimmer. So you may be thinking, that this is all well and good for the show crowd, but what if you want to push your BMW to its performance handling limits? Will air really provide the corner-carving ability you crave? The answer is a simple YES. We have spent countless hours on the track to give you a suspension that can handle any road course or curvy road you may encounter. You can expect quicker steering response and excellent roll control, thanks to our progressive-rate air springs and monotube 30-way dampers. Best of all, our suspension components are compatible with other chassis upgrades to allow you to put together the ultimate corner-carving monster. 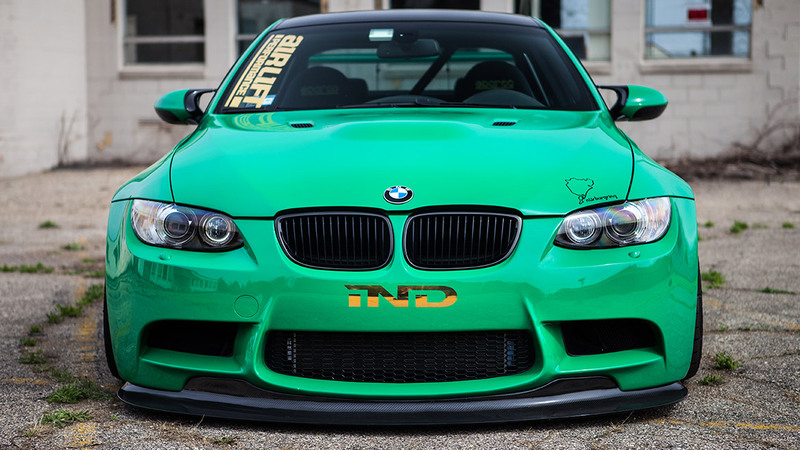 We offer detailed installation instructions to help you to have your M3 slammed within a few short hours. If you have the ability to wire a stereo and swap out suspension parts, then you should have no problem installing this air suspension system. If you do run into a snag, the Air Lift Performance tech support team is top-notch, and can walk you through any questions you may have. In order to bring to market the most durable air suspension possible, Air Lift Performance tortured the components of this kit to one million cycles (equal to approximately 100,000 miles) on their hydraulic test rig at temperatures from -30 deg F to 150 deg F. Couple this test lab work with thousands of miles of on-road testing and the one- year manufacturer’s warranty, and this is a kit you can count on to handle whatever the road throws down!